Ok, my friends – it’s time! We are now booking Holiday Limited Edition Sessions! I know it seems like the holidays are forever away, but they’ll be here before you know it. That’s why planning now has you staged to handle the chaos of the holidays like a boss. 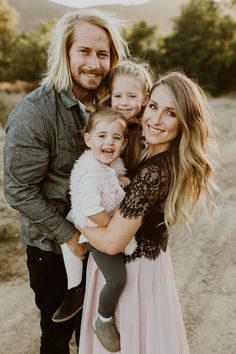 Imagine this with me: It’s December 1st, and you already have your family photographed, cards designed and ordered, gift prints delivered and you’re checking people off your holiday gift list left and right. Sounds amazing, right? That’s my goal! What are Limited Edition Sessions? For those of you who may be new to Sweet Nothings Photography, you may be asking yourself what exactly a Limited Edition Session is… Let me explain! I know you’ve heard the catch phrase “mini sessions” a million times from other photographers. Most mini sessions are shorter sessions that may include a few digital files, and that’s it. The only time you’ll see your photographer is at the session itself. And you’ll most likely be left on your own to navigate ordering images from an online gallery. 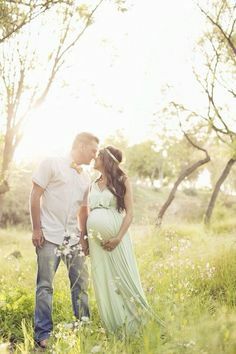 The typical “mini session” just doesn’t deliver the personal service that Sweet Nothings Photography is known for. While it’s true that Limited Edition Sessions are shorter in length than our full custom portrait sessions, our service is anything but “mini”. At Sweet Nothings Photography, we not only specialize in creating a personalized experience for our clients, but also offer heirloom quality art for you to pass down those precious memories from generation to generation. And yes, our collections also include digital media as well! Our Limited Edition Sessions offer all of this, at a smaller price point than our full custom portraiture. However, these exclusive sessions are only offered on certain days and times, and only a few times a year. Hence, Limited Edition Sessions. Our Limited Edition Holiday Sessions are 30 minutes in length, and you choose between three carefully crafted Limited Edition Holiday Collections. Each collection includes a variety of different products and digital media, including mounted prints and a custom Christmas Card. But it’s after the session where the heart of Sweet Nothings Photography’s personal service really shines: REVEAL NIGHT. I love Reveal Night. You’ll see your beautiful images for the first time and then, based on the collection you’ve chosen, I’ll be there in person to help you choose the best the images for your products and digital media and design the perfect custom Christmas card. Reveal Night is so much fun! As you can see, a Limited Edition Session from Sweet Nothings Photography is so much more than a mini session. So Now You Need the Details, Right?! This year our sessions will be taking place (tentatively) at the Red Caboose Christmas Tree Farm in Magnolia, TX. There will be a set up for Christmassy shots, but as usual on my Limited Edition Session days there will be opportunity to get a few family photos without the Christmas decorations as well. This is the perfect time for an updated family photo! These sessions will take place on Saturday, November 3. I plan these sessions early so you’ll have everything in your hands no later than December 1st! Start out your Holiday season with cards ready to go out and gifts for family and friends ready to be wrapped and put under the tree! This year’s session includes a few new and exciting products that I haven’t offered before now. The coolest one is the “Holiday Wishes Slideshow”. 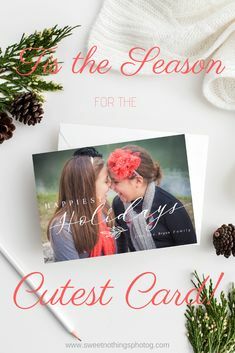 I will use all of the images from your session to create a holiday themed video for you to share with friends and family or e-mail it as a digital Christmas card! But most importantly – tuck it away as a keepsake you can pull out for years to come. Think of next Christmas, playing this video slideshow and seeing just how much your family has changed in a year! I am so excited to be able to offer this my clients! *Mounted Gift Prints are sizes 8×10, 5×7, and 4×6. You may choose the sizes that fit your needs best. * Custom Christmas Cards – Must be flat design. Folded designs will incur an upgrade fee. *Facebook Cover Image will be designed by photographer. Select Your Session Time. Complete the form below a session time. Please understand times are at a first come, first serve basis, and will be assigned in the order they are received. Choose your Collection. To reserve your date, full payment is required. Please note, sales tax will be added. During your Reveal Night, you will have the opportunity to upgrade your collection and purchase other items a la carte. Pay your Invoice. As soon as I receive your booking form, I will send you an invoice for your session. Payment must be made in full and completed to reserve your session, and is considered to be confirmation of the session. If payment is not received in 2 hours from the time the invoice was sent, that time slot will be reopened to the public.